FCIAC Champion Fairfield Warde Mustangs cheerleading team after winning conference championship on Saturday, Feb. 1 at Warde. 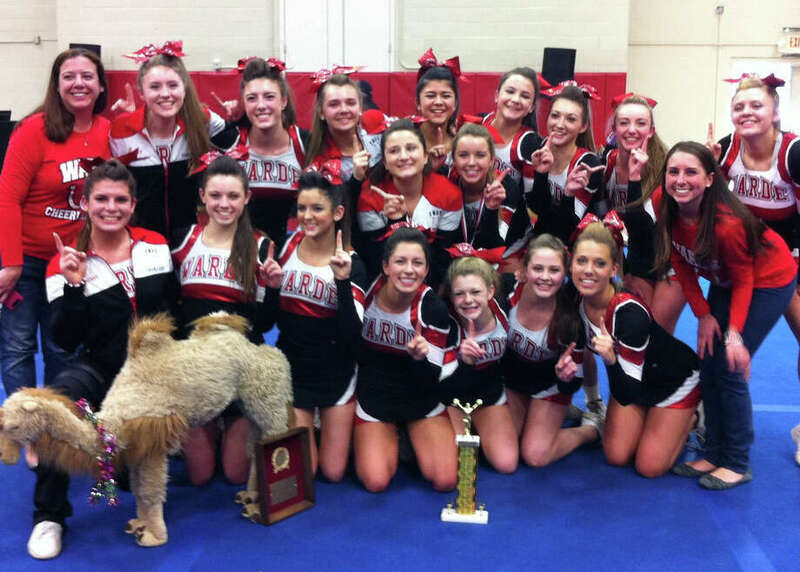 Last Saturday, the Fairfield Warde varsity cheerleading team capped off a dazzling two-week stretch of competition by adding another championship for the school's trophy case. The Mustangs followed up their win in the 17th annual FCIAC Cheerleading championship on Feb. 1 at Warde by finishing first a the Woodland Hawks Ninth Annual Cheer Invitational at Woodland Regional High School on Feb. 8. At the FCIACs, Trumbull placed second behind Warde, Greenwich finished third and Danbury took fourth in the 13-team competition. "Today was an amazing day, even before we found out we had won, I was so proud of how the girls performed," Warde coach Nicole Gomes said after winning the conference crown. "It's a testament to how much work the girls have put in and the heart and desire they have shown, despite all the injuries they had." Warde was led on Feb. 1 by senior captains Madison Beerbower, Tali Cohen and Mackenzie Tarczali. Also sparking the team were seniors Cozette More, Caitlin Wholley, Lauren Jacobi and Meaghan Gavey. "The three captains have been on the team all four years and our team won the title when they were freshman," Gomes said. "So they started as champions and ended as champions." Fairfield Ludlowe had won the FCIAC competition in three of the previous four years.